If you’re like me, you hate grocery store tomatoes. Anemic. Pale pink. Pathetic. They just don’t taste as good. I don’t even like to used canned tomatoes, if I can avoid them because of the metallic taste that you can’t get rid of. Boxed tomatoes are tasty, but expensive. I’m still slightly intimidated by canning, but I like to preserve my food. So, if you’re cheap, have an extra hour, and have access to a farmer’s market or a tomato plant of your own, freezing tomatoes can be a great option to enjoy that tomato flavor through the winter. First, collect ripe tomatoes (though not over ripe or they may be difficult to work with) and wash them gently. Don’t worry if their skins aren’t perfect since soon you’re going to get these tomatoes naked. Scandalous! Prepare your work area, since you’ll need a lot of bowls for this project. Place a large pot of water to boil and prepare a bowl of ice water near by. Lay out another clean bowl next to that and finally, place your strainer over a final bowl. Make a tiny “x” on the bottom of each tomato, just deep enough to pierce the skin but not so deep as to cut into the seeds. Working in batches, blanch the tomatoes for two minutes. Place the blanched tomatoes in a bin of ice water. Once iced, the skins should slide easily from the tomatoes. With your paring knife (or a strawberry huller), remove the stem area from the tomato and seed. Don’t be afraid to squish and squeeze the tomatoes a bit to get the seeds out. Place the seeded and stemmed tomatoes in the mesh strainer to drain into a bowl. 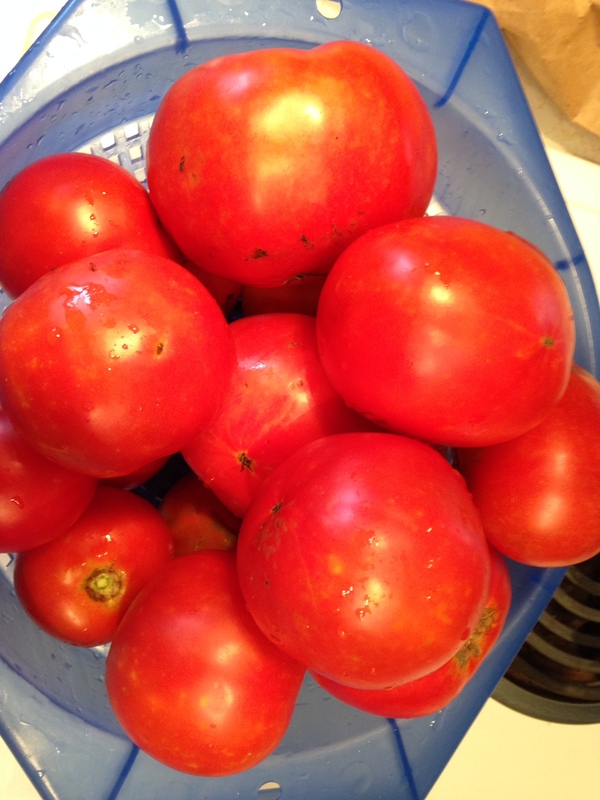 If desired, measure out preset quantities of your tomatoes for easy kitchen work. I always do 1 lb bags for simplicity’s sake. Press out all of the air and freeze flat for easy stacking. The tomatoes should last at least three months, and for most freezers, could last much more than that without any loss of flavor. Remember that bowl you were straining into? 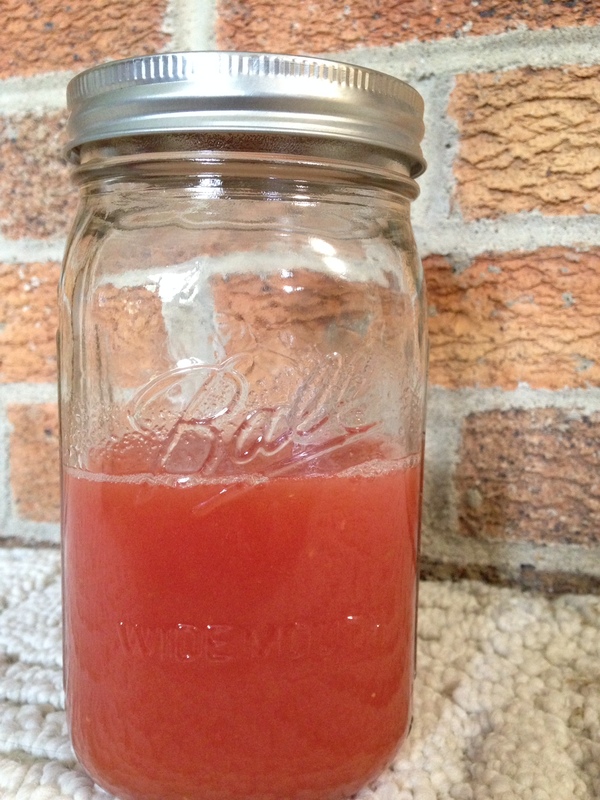 Fresh tomato juice! Feel free to pass it though the strainer one more time for good measure. I teach, and so the past few weeks have been a mixture of abandonment to the joys of summer and disillusionment at its ending. 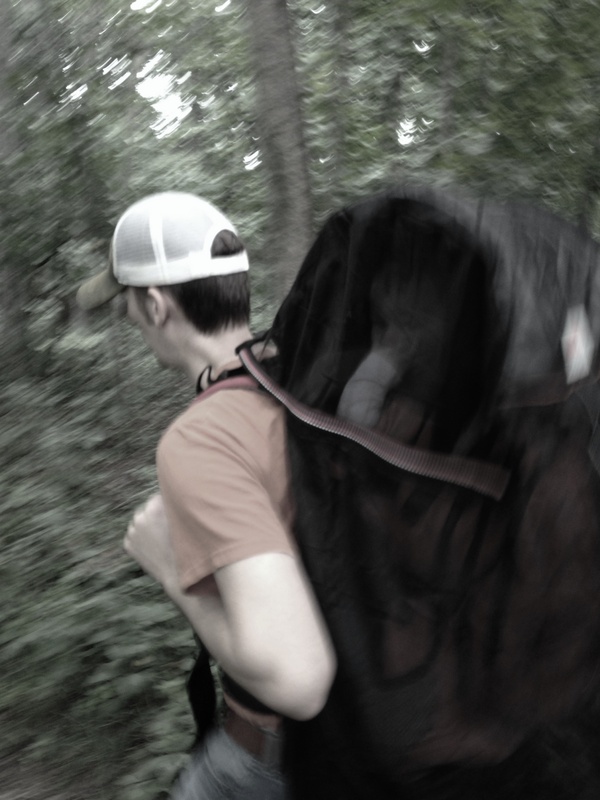 The family and I have tried to go on lots of walks and hikes, and we’ve been using the ‘taj mahal’ of hiking backpacks, complete with bug net and sun cover. But along with the fun of the summer, I’ve been starting to look forward to the semester ahead. I know that with my schedule (which stretches into the evening hours), dinner will often not even be on a back burner… I usually turn to the crockpot on days that I work, and so this past week I sent the babe to the sitter’s and cranked out 40 meals in what should have been just four hours, but really took about eight. I can’t vouch for any of them yet, but reviews will follow later once we pop these guys out of our nearly-full freezer. I might be the only person in the world to absolutely adore eggplants; heart, soul, and mind. Their color is gorgeous (even the word “aubergine” is delectable). When eggplant season comes around, you better believe I’m eating eggplant every day. My husband had never had an eggplant before I met him. My husband had never had good eggplant before I met him. His grandmother had made a gloppy mess: seedy, flavorless, and unsalted. He was noticeably not excited when I mentioned eggplant was on the menu. I changed his mind, and if you give me the chance, I can change yours, too.